It’s not enough to just put up a website for your restaurant, as it is necessary to update and redesign it to meet the needs of customers and the changing times. 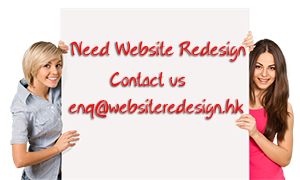 If your website is getting long in the tooth, then it’s time you or a redesign team give it an overhaul. And if you’re not convinced a website redesign or even a website is necessary, the following should make things clear. A recent study revealed that up to 85% of people today use the Internet to find a restaurant nearby, so if you don’t have a website, you don’t exist for these potential customers. And if your website looks old and is neglected, then customers will assume your business has closed shop. Certainly, a neglected website isn’t going to inspire confidence, so it’s time to give your website a makeover. The purpose of your website is to provide information for customers, so unless the data is updated the site is all but useless. Anytime you make changes to the menu, locations, hours of operation, payment, etc. should be added on the website so customers are quickly updated. A redesigned and updated website does a better job answering customer inquiries and basic questions, and you don’t have to worry about people complaining they can’t get through your manager on the phone. As long as your website is updated and redesigned to meet these needs, there won’t be any problems with feedback and interaction. While you’re having the website redesigned, it’s essential that all the pertinent information is arranged clearly. The fact is virtually all established restaurants today have a website, but that’s not enough as you need to keep yours updated and redesigned to fit in with the times. Just as you replace and update the menu to reflect changing tastes, the same thing with the web. A website is the best way to keep old customers and entice new ones, and as indicated earlier, the majority of restaurant goers today do their search on the web, and there’s no better way to grab their attention than with a newly refurbished website. By redesigning your website you’ll give everyone an idea of what the ambiance is, what it’s like (casual, family, upscale etc.) and of course, familiarize them with the menu. In short, a remodeled website gives you the opportunity to create a powerful first impression. Finally, redesigning your restaurant’s website gives you the chance to stand out from the rest of the field. If all the restaurants in your area sport the same look and feel, then overhauling its appearance will make yours unique and develop instant recall.